When butter was its own food group! 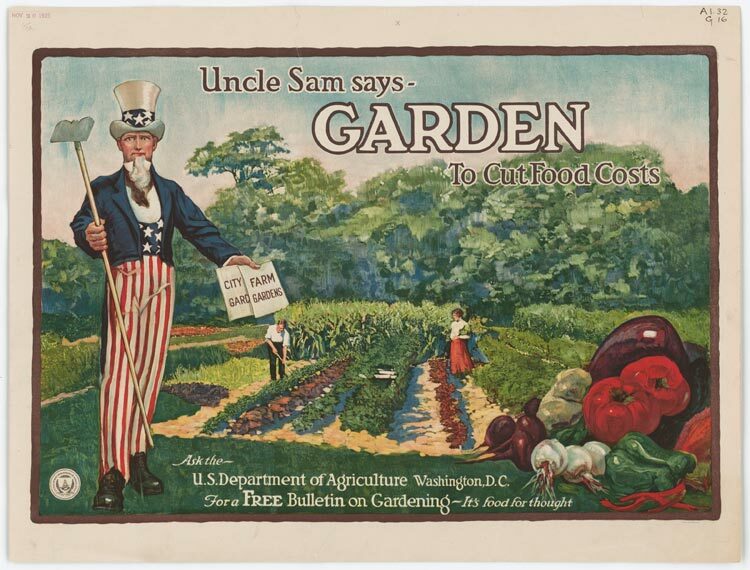 This weekend, a fascinating exhibit opened at the National Archives in Washington D.C. “What’s Cooking Uncle Sam” details the Government’s involvement in our country’s food production over the past 200 years through the ephemera collected and preserved by the National Archives. 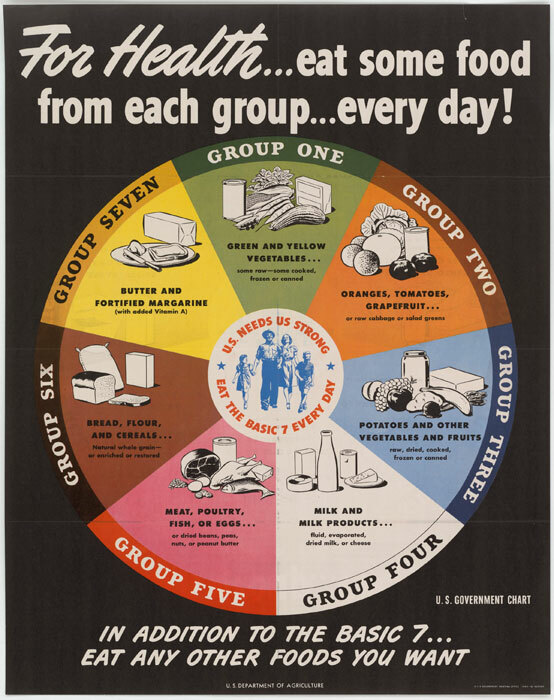 Using photographs, posters, menus, scientific reports, film, radio and other records, this exhibition traces American food production from the importation of rice and other crops by Thomas Jefferson and Benjamin Franklin to the ever-evolving attempts to define a healthy diet through food groups. I’m dying to see this show as it combines two of my passions: food and archives! It closes January 3rd, 2012, so I predict a visit to our nation’s capitol in the not-too-distant future. Maybe I’ll see you there! This entry was posted on June 12, 2011, 5:22 pm and is filed under inspiration. You can follow any responses to this entry through RSS 2.0. You can leave a response, or trackback from your own site. That is an amazing poster! My favorite part is where it says “In addition to the basic seven … eat any other foods you want!” Perfect!